Hi everyone, and welcome to the third edition of the Language Creation Tribune. Once again, Jessie Sams and the other editors have done a stellar job of putting it together, so a big round of applause for them! 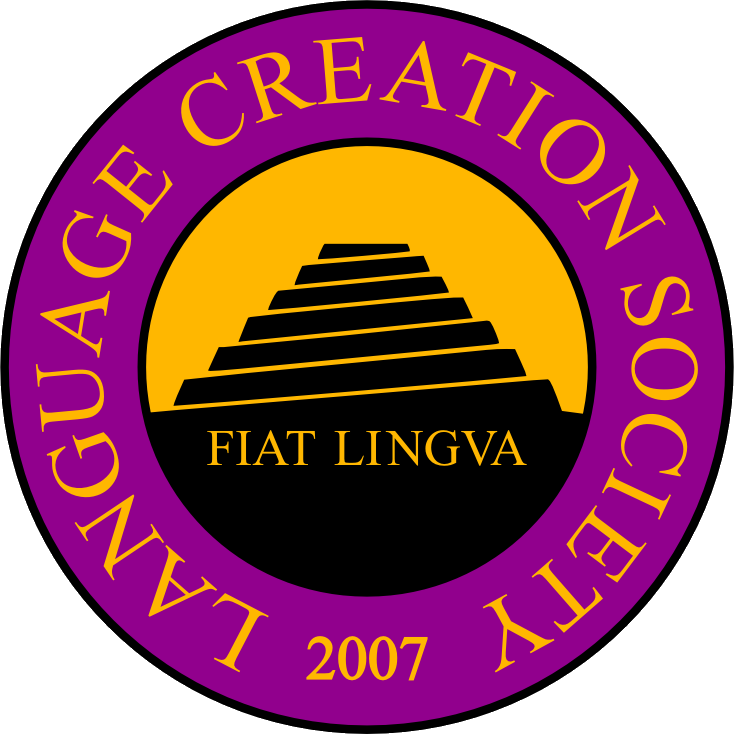 As you may already know, one of the LCS’s main roles is running the Language Creation Conference. It’s even one of our primary purposes right in our Articles of Incorporation! And since the last conference was in Spring 2013, it’s time for us to announce the next one. It is my pleasure to announce that the 6th Language Creation Conference will take place on the 25th and 26th of April 2015, in Horsham, UK, just South of London in West Sussex. I’m really happy that for the second time in its history, the LCC will take place in Europe, giving another chance for European conlangers to experience this wonderful event first hand! As you may remember, before I became President, I was mostly known in the LCS as the local host of the LCC4, the first LCC to take place in Europe. It was a heavy responsibility and I’m still not completely satisfied with how I ended up handling it. It was still a great learning experience, though, and the event itself was exhilarating! This time, we actually have a team of local hosts handling the organisation of the LCC6, in the persons of Pete Bleackley, Alex Fink and Lykara Ryder. Allow me to thank them in advance for taking up this responsibility. I have complete faith in them and I’m sure the LCC6 will be a great success. More information will be released as the event gets organised, but I want to use this announcement already to make a few calls to you, fellow conlangers. The LCC itself is but an empty shell without people giving presentations. So we need you! If you are interested in giving a talk, please contact us at lcc6-talks@nullconlang.org. We’ll need your name and the title of your talk, and at least some description of its topic for now. All topics are allowed, as long as they are related to language creation. The only exception is proselytism in any form, which is strictly forbidden. In any case, please contact us with your presentation ideas, so we can start building up a schedule of events. Other event ideas besides talks are also welcome (we’ve done film screenings in the past, for instance), as long as they are workable in the short time frame of the conference. Also, if you are interested in the LCC6, whether because you are planning to attend it as a presenter or a participant, because you want to help, or just because you are curious, we have set up a special LCC6 mailing list: lcc6-info@nulllists.conlang.org. You can subscribe to it via the following webpage: http://lists.conlang.org/listinfo.cgi/lcc6-info-conlang.org. You can use this mailing list to ask questions to us and/or the local hosts, discuss relevant ideas, or even plan your joining the conference together with other attendees. It’s available for any discussion as long as it’s relevant to the LCC6. And as usual, the LCC6 will be streamed online, with an IRC chat channel available for people to participate remotely. So don’t hesitate to join the LCC6 mailing list even if you don’t plan to attend the conference itself physically! And for those who will attend it, I look forward to meeting you all face to face! So I’ve been poking around LCS member Jayelinda Suridge’s con-creation, Kadreilia, and find myself drawn to it for reasons atypical for me. Usually I’m interested in the extremes of conlanging and conworlding, the really innovative or just the unusual. But in the case of Kadreilia, I simply find it beautiful and full of small but satisfying little surprises as you navigate though its layers. While it’s still a work-in-progress (originally created as background for a never-completed novel), there’s enough material on the con-history, languages, culture and kinship, songs, religion, folklore and mythology, demographics, flora and fauna, and maps to keep a visitor busy for hours. Jayelinda, an Aussie video game designer now living in New Zealand, has created a website whose overall aesthetic design is understatedly elegant, and while the navigation links appear quite simple and straightforward on her homepage, one soon gets lost in the sub-pages containing links to nooks and crannies which are difficult to locate a second time. 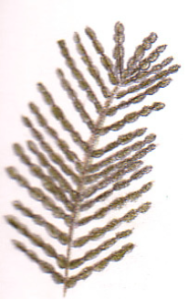 Illustrations and graphics occasionally appear in obscure and unlikely places, some of them impressionistic and artful such as illustrations of plants, others crafted to near clinical perfection such as the vocabulary guides for body parts. The most well-developed Kadreilian language on the site is Kardii, the language of the Shela people. One finds sections on phonology, verbs, noun classes, numbers, dialects, and a lexicon of over 3700 entries. 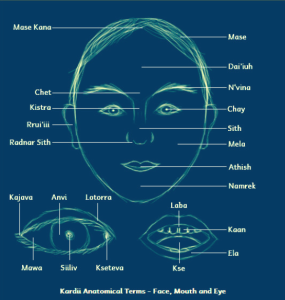 The language also has a ceremonial form called Kardiifa. Special mention should be made of the Kardii phrasebook, a selection of phrases and sentences grouped into the following categories along with cultural notes on each topic: The Basics, Look and Listen, Feelings, Going Places, Shopping, Food & Drink, Time, Amounts, Making Friends, Emergencies, Health, and Fighting Words. Some of these are really fun to read, such as phrases in the Shopping category, containing sub-sections on haggling and customer-service complaints, e.g., ‘Why do you charge so much?’ (Niijeeche tripa lo ma i?) and ‘I think you’re ripping me off’ (Shorriche ki eripykeche pa). Also noteworthy are the samples of Shela songs and poetry, written in Kardii. There is one song in particular on the site called J’ tek Koshtera Onas a (“Song About Shadows”), which I find particularly moving and beautiful. Hash yer ray char astof vezhvena? (‘Have you heard the good announcement?’) David Peterson’s Living Language: Dothraki was released in October. Now you, too, can master the Dothraki language! John Q made headlines in the New Haven Independent when he appeared for “Amateur Hour” at the Institute Library to discuss Ithkuil. Congratulations to Doug Ball, who received the 2014 Smiley Award for his language, Skerre! The Tumblr Conlang Relay is hosting its next TCR starting around November 1. Matthew Luckow recently released The Language Builder, which provides an online framework for conlangs. A new Tumblr is devoted to bad conlanging ideas (and, thus, a little conlanging humor). Grapheion has a tool for aiding in the creation of conscripts. The FrathWiki has a page devoted to software tools for conlanging. If you’re a Dr. Who fan, you might enjoy the Gallifreyan Conlang Project, which has a dictionary, lessons in Gallifreyan, and downloads for a keyboard and a phrase/idiom book. We are forming a committee to manage social media presence for the LCS (including helping with Tumblr, Pinterest, Twitter, and Facebook) and are searching for two volunteers to help with that committee. If you are interested in serving on such a committee, please email Christophe Grandsire-Koevoets (president@nullconlang.org).